Orthodontics is a specialty field of dentistry that focuses on the development, prevention, and correction of problems with teeth, bite, and jaws. Dr. Kate Nguyen is a licensed orthodontist, ensuring that you will see results and receive the best in orthodontic care at Braces Las Vegas. It takes several years to become an orthodontist. They typically need to spend 2-4 years in an undergraduate program. They have to pass the Dental Admission Test (DAT), then they spend four years in dental schoolwhere they earn a Doctor of Dental Surgery (D.D.S.) or a Doctor of Dental Medicine (D.M.D.) degree. Dr. Nguyen received her undergraduate degree, a BS in Biological Sciences from the University of California, Irvine, and her doctorate, a DDS, MS from the University of the Pacific, Arthur A. Dugoni School of Dentistry, San Francisco. After completing a dental program, they apply to orthodontic specialty programs, which last three years. They will learn about orthodontics (tooth movement), surgical orthodontics and dentofacial orthopedics (guidance of facial development). 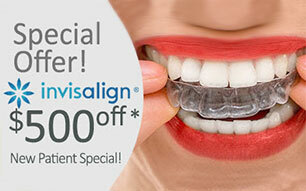 Upon completion of that program, they are qualified as a dental specialist in orthodontics. They then go take their board certification test from the American Board of Orthodontics. To practice orthodontics, they must earn a license, which is regulated by the state. They need to complete a postgraduate education program and may be required to take an additional state examination. If you are experiencing any pain with your braces or teeth, please call or stop by Streamline Orthodontics Office today to get relief. Quality dental care is more than just the most advanced equipment and expertise in care. It’s a trusting relationship founded between our dentists and our patients. You take a vital role in the health and care of your smile. Together, our dentists co-plan your care right along with you. At Streamline Orthodontics Office, you play a vital role in the future of your smile.